I never took the kids and left Snapchat, but we only spoke when we needed to and started sleeping in different beds. I do think Snapchat and I are spared our divorce, but we’re still trapped in an unhappy marriage that I won’t leave for the sake of my contact list. This was probably foreshadowed by Snapchat’s tumbling stock and when the layout for the app was first altered, but I think that Snapchat’s most recent update is the most half-hearted attempt at making the app better. Worst of all, it’s going to hurt the app and user’s relationships with it. In case you’d already left Snap, the app made a change this weekend. In the last update to the app, they’d rearranged “Stories” to the friends list and replaced the right-hand stories page with a “Discover” page featuring celebrities, ads, and news organizations. It was annoying and ugly, but on top of that, it felt like the app had sold out in a sense. It was no longer an app for the users as much as it was a platform for companies and celebrities. So many people abandoned Snap and switched exclusively to Instagram (and Facebook), because their stories felt more organic than Snap’s now did. Some people stayed loyal and a handful doubled up, but Snapchat no longer seemed like essential viewing. Whenever I watched everyone’s story, it was because someone had sent me a Snap or it was an afterthought in desperation. Snap was dead, and I was prepared to more or less abandon it for Insta. This weekend, I checked into Snapchat while waiting for my train, but I couldn’t find anyone’s stories. I hadn’t logged in in 24 hours; there was no way that no one had posted anything. After fiddling for a few minutes, I realized Snap had posted a memo that they’d moved stories back to their original screen, but it was simply a banner across the top of the Discover page. It was what the original update probably should’ve been, but since it came so unannounced and without fanfare, it was irritating after getting accustomed to the new format. It’s a little change, but I wasn’t satisfied. I’d rather have left Snapchat than be stuck with it as a subpar unsatisfying social network. As much as a service like Snapchat should cater to their audience, it seemed like such a weak and untrustworthy move for them to do this half-assed change. They should have searched for a way to satisfy their audience with the change they made rather than back-peddling. It’s a nuisance, and it shows Snap has no faith in their updated product. In the past month, the SNAP IPO has dropped over 25%, and I’d say that it’s symbolic of the fact that they can’t make their product work in a profitable way. It’s had very little to offer since it started, and I don’t have any real faith for the future of Snap. 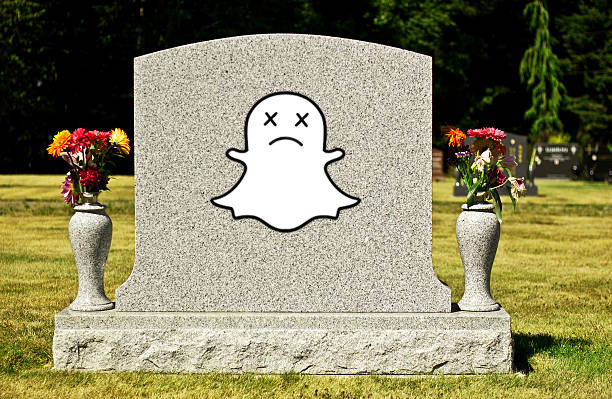 Maybe they’ll introduce some new product, but for now, I’m just bored of Snapchat’s weak moves.